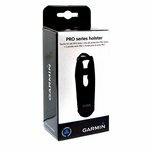 Garmin PRO Series 4-Way Holster. $27.99. Fits perfect. 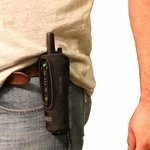 Keeps the hand piece handy during hunting if needed but otherwise stays out of the way. This was a gift for our son. He has a two labs. As far as I know, he is very pleased with it. 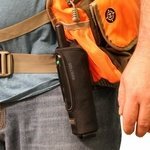 I really like the variety of ways the holster can be used. I mostly use it over my neck across my chest. 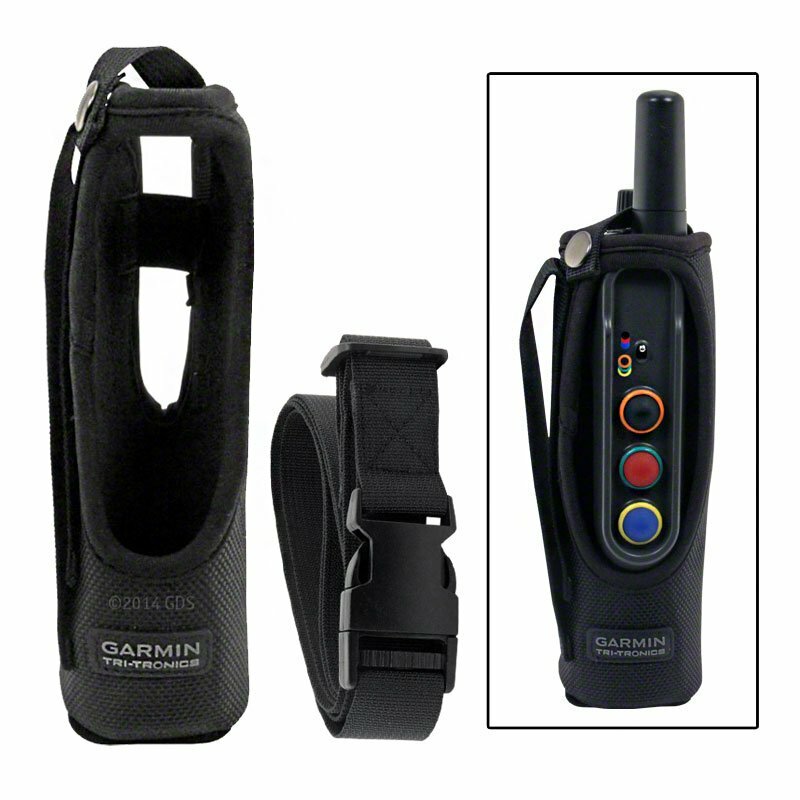 My Garmin Pro550 is always easy to use and is out of the way. Good quality and easy to use. 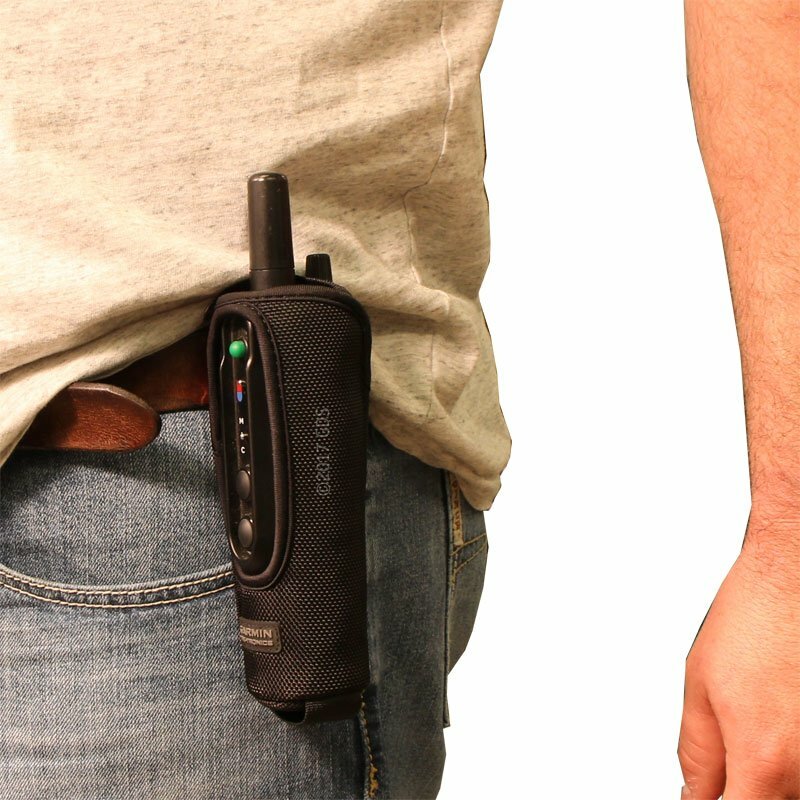 The holster keeps the transmitter secure around my neck and it can be tucked in a pocket so it is out of the way when not needed. Very solid holster. 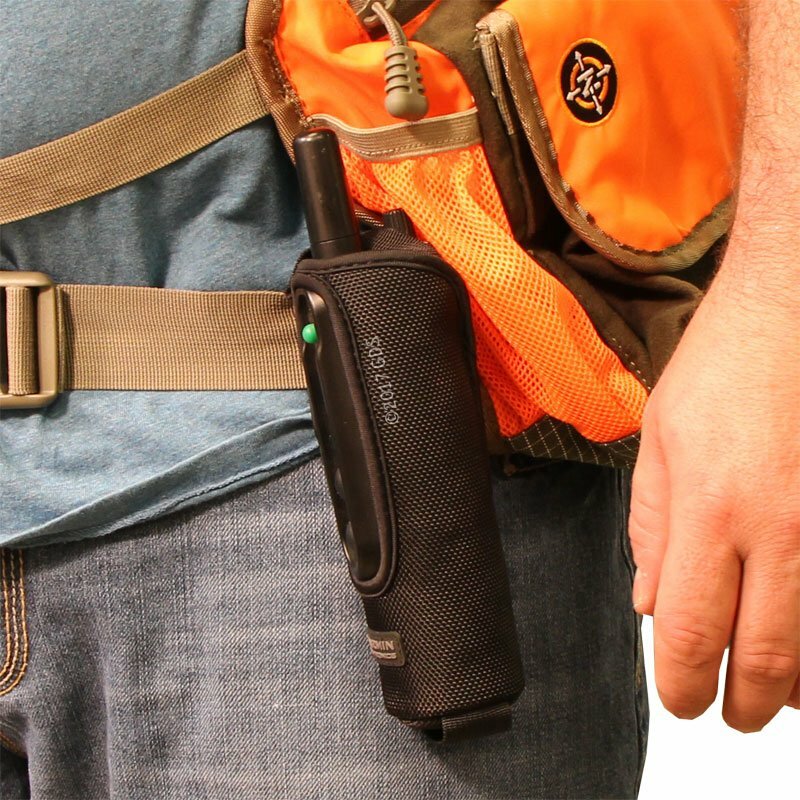 Much better than carrying the transmitter stuffed in your pocket, where it can get lost. 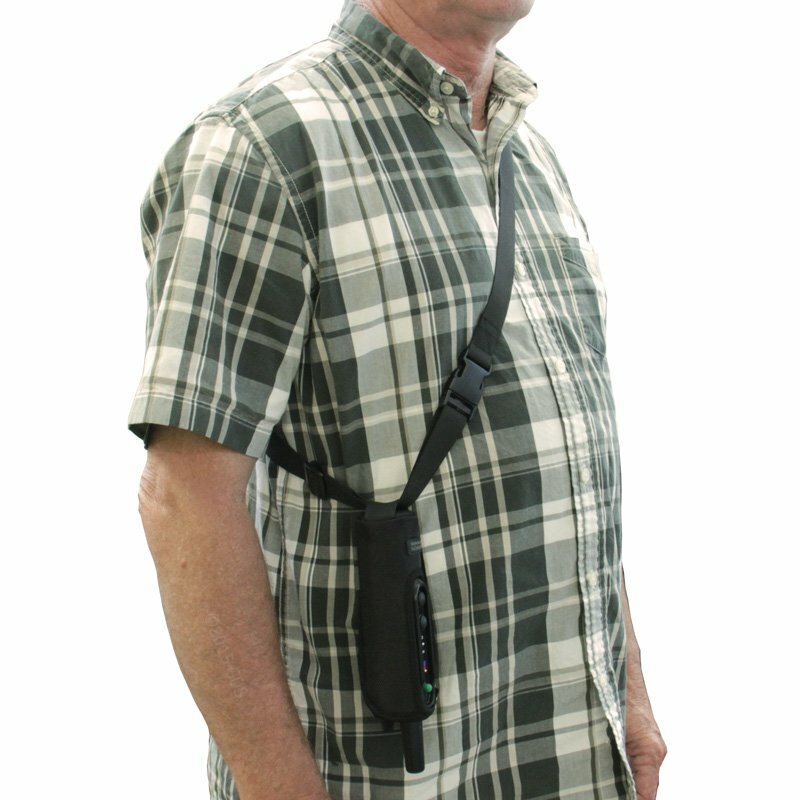 Also, it's nice to be able to carry over your shoulder, instead of dangling from your belt. I'm happy with this purchase. Long nylon strap makes it nice to sling over shoulder and get the transmitter out of the way when not in use. It's perfect for how I want to use it. The only problem (I'm on my 3rd one) is that the bottom loop wears out from rubbing on the belt. It would be great if that loop were some how made tougher. 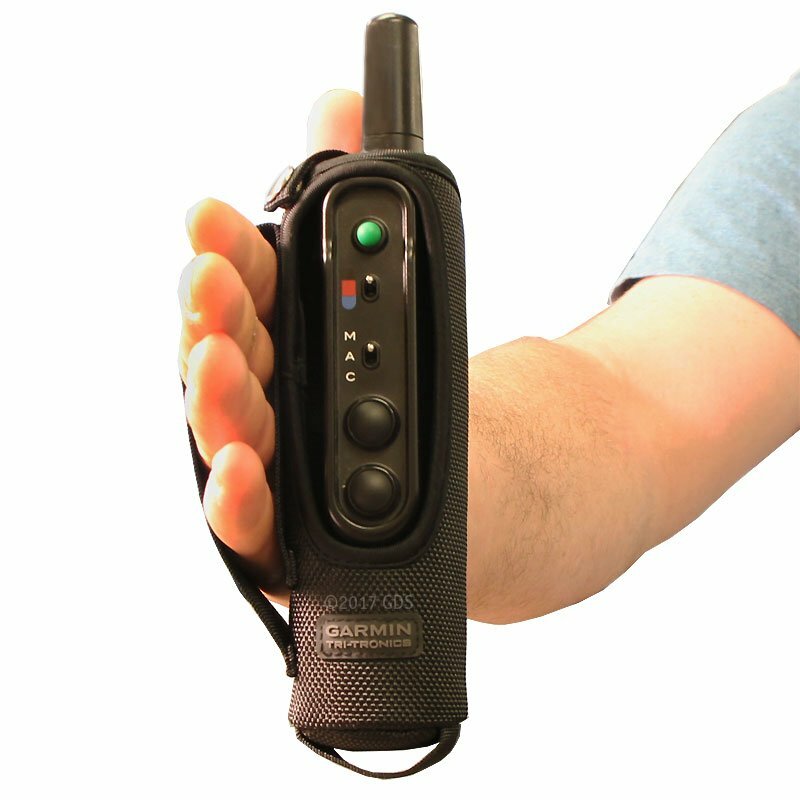 "Fits the transceiver well, and seems well constructed." Fits the transceiver well, and seems well constructed. Design is reasonable. Compatible with PRO 70, PRO 550, PRO Trashbreaker and Upland 550 transmitters. 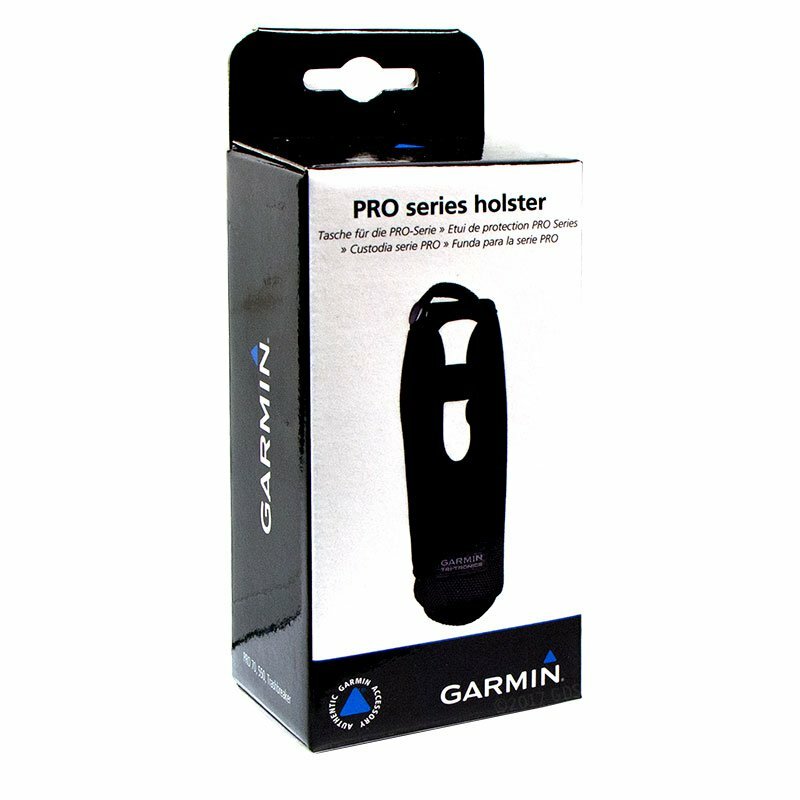 Protect and carry your Garmin PRO Series handheld with this durable nylon holster. 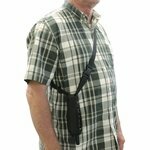 Very convenient with hand loop, belt loop and adjustable strap. Hold it securely in your hand, wear it on your belt, long over your shoulder, or snug to your chest.